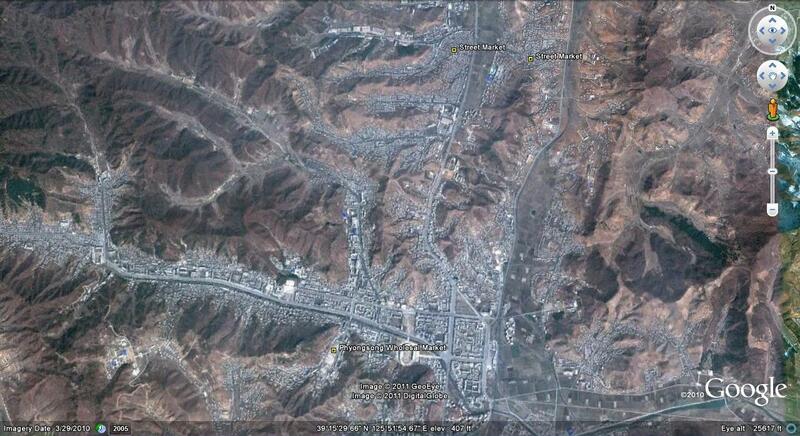 The pictures above are from Google Earth. The picture on the left is dated 2009-4-9. The picture on the right is dated 2010-3-28. 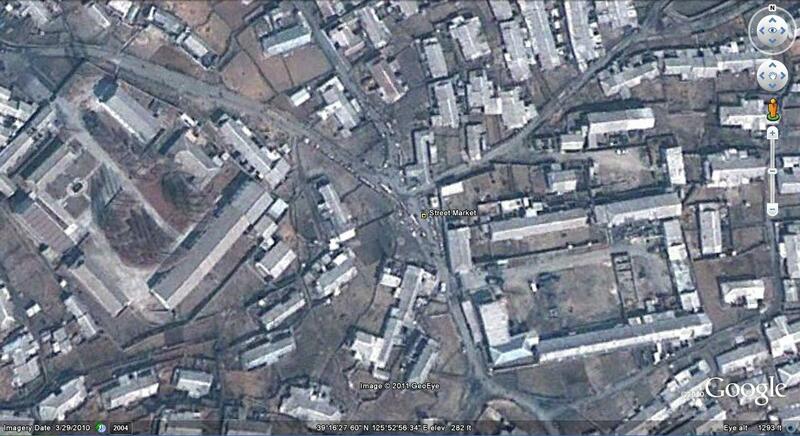 The Phyongsong (Pyongsong, Pyeongseong, 평성) wholesale market was the DPRK’s largest. The market emerged spontaneously to achieve this position due to its strategic location just outside the boundaries of Pyongyang. Merchants from across the country could travel here without obtaining a Pyongyang permit, yet it was close enough to Pyongyang that shoppers and merchants from the capital could “easily” travel here to conduct business. Rumors first emerged in June 2009 that the market had been closed either as part of a larger campaign to crack down on market activity or to reduce the scale of the Phyongsong market relative to other markets. IFES later reported in July 2009 that the market was briefly closed in April but reopened after just over a week due to its importance in the nation’s supply chains. In September 2009, however, IFES reported that the Phyongsong market was permanently closed in June 2009. The motivations for the closing appear to be political: cracking down on corruption, etc. In January 2010, IFES reported that not only had the Pyongsong Market been closed in 2009, but that the second- and third-largest national wholesale markets in Chongjin and Hamhung were also in Pyongyang’s cross-hairs. 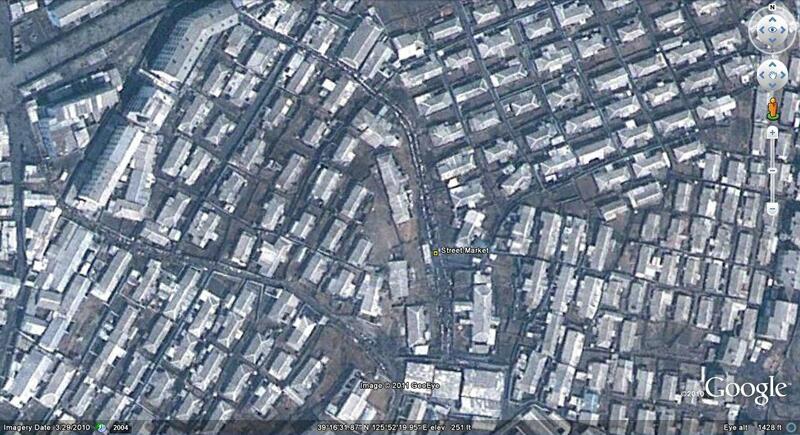 Google Earth satellite imagery of the Sunam market in Chongjin (41°47’25.24″N, 129°46’0.07″E) was captured in 2006, so it is not possible to determine the market’s status in this way. 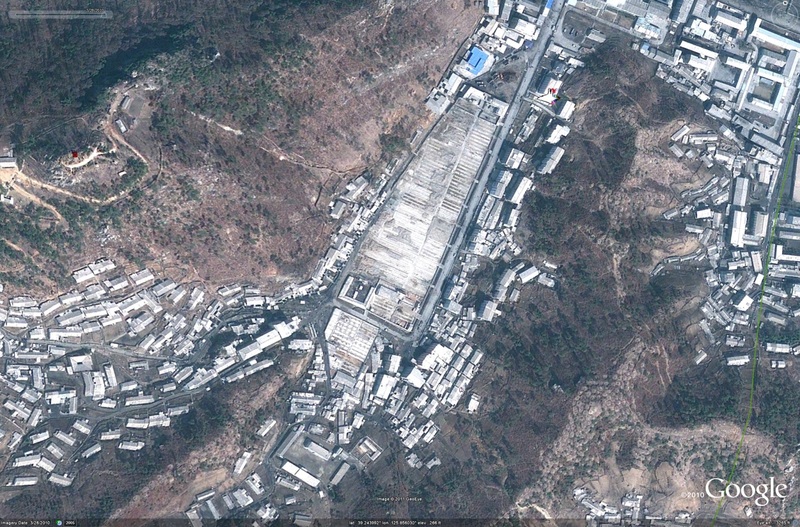 However, Google Earth imagery of the Chupyong Market in Hamhung (39°53’42.92″N, 127°32’20.11″E) is dated 2010-4-14, and it indicates that market activity continued until at least mid-April of last year. Sadly we cannot say the same of Phyongsong. 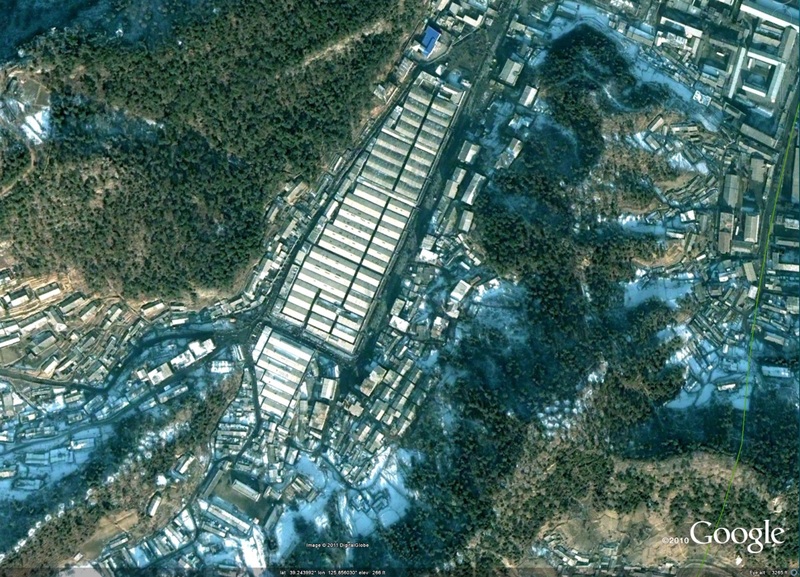 Although current Google Earth imagery (dated March 2010) was shot nearly 9 months after the Phyongsong market was reportedly closed, there does not appear to be any new official market places under construction. There is room for hope, however. Maybe the Phyongsong market closing is only temporary and the facility is simply being upgraded (this has happened before). 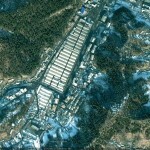 If anyone has more recent satellite imagery of the market, please send it to me! Finally, if the market has been permanently closed, satellite imagery reminds us that the story of the Phyongsong market runs contrary to the trend of market growth in other [distant] cities around the country. This might imply that the Phyongsong market was closed because of its obvious importance to and corrupting influence on the Pyongyang consumer economy, but Workers Party cadres are content to let citizens in far-flung cities continue to meet their needs through market exchange. This entry was posted on Tuesday, May 3rd, 2011 at 12:30 am and is filed under General markets (FMR: Farmers Market). You can follow any responses to this entry through the RSS 2.0 feed. Both comments and pings are currently closed.